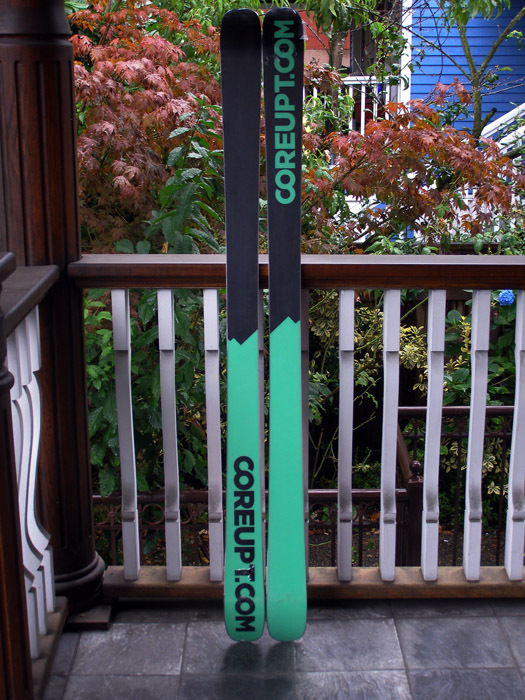 About ten months ago I was fortunate enough to win a competition run by TJ Schiller, a professional skier, which allowed me to work with CoreUPT, a European freeski company, to place a design on the topsheet of their TJ Schiller Pro model ski for the coming 2010/2011 winter. 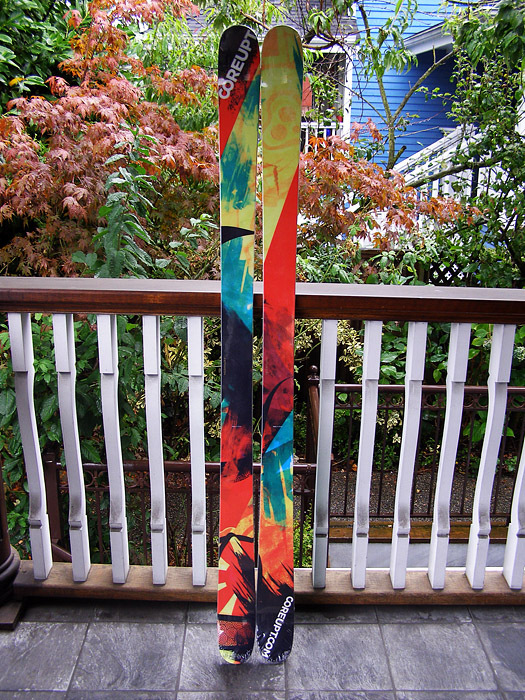 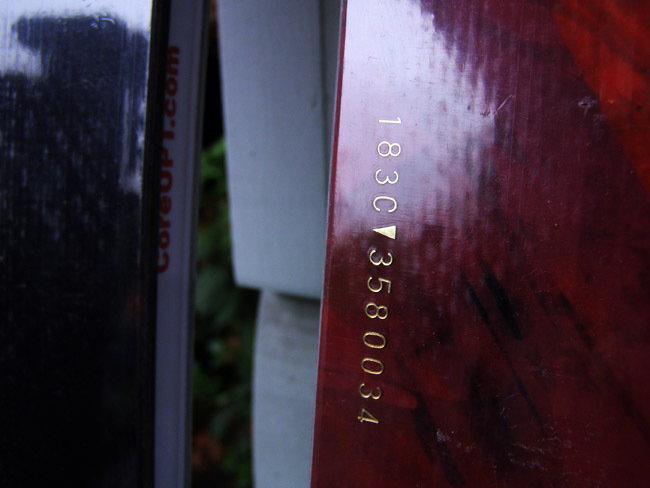 I received a pair of the skis the other day (from TJ himself, no less) and I’ve taken a few photos because – I’ll be honest here – I’m really proud. 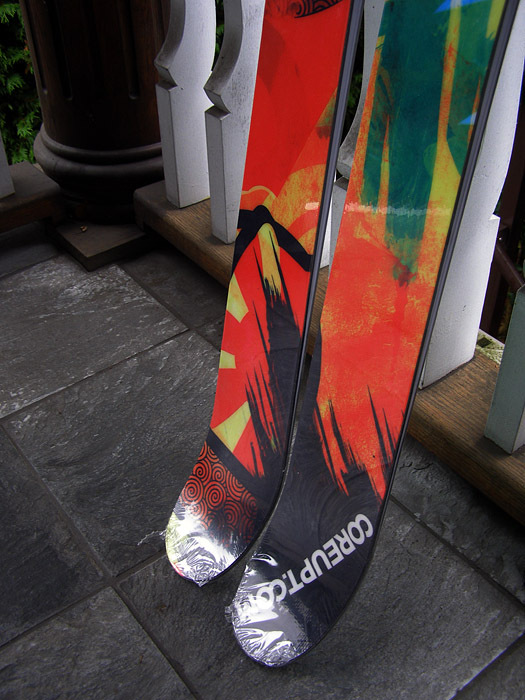 I hope you like how the skis have turned out, let me know your thoughts! 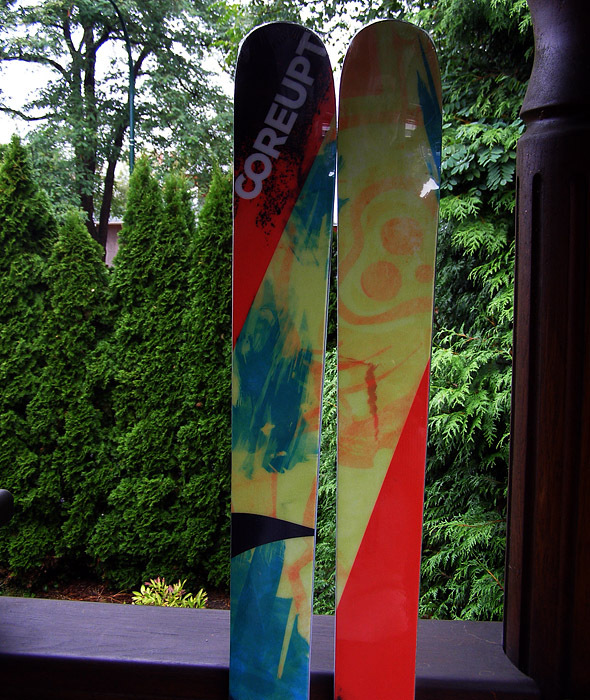 They’re still wrapped in plastic in the photos because I’m trying to cosmetically preserve them for the start of winter. 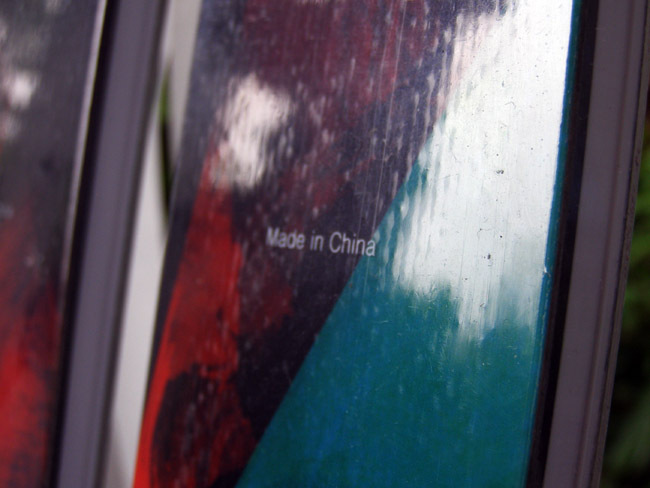 The bumpy texture on the close-up photos isn’t actually on the topsheets, just the wrapping.